Two years ago WHC EMS envisioned a more efficient ambulance fleet. The next step, solar. 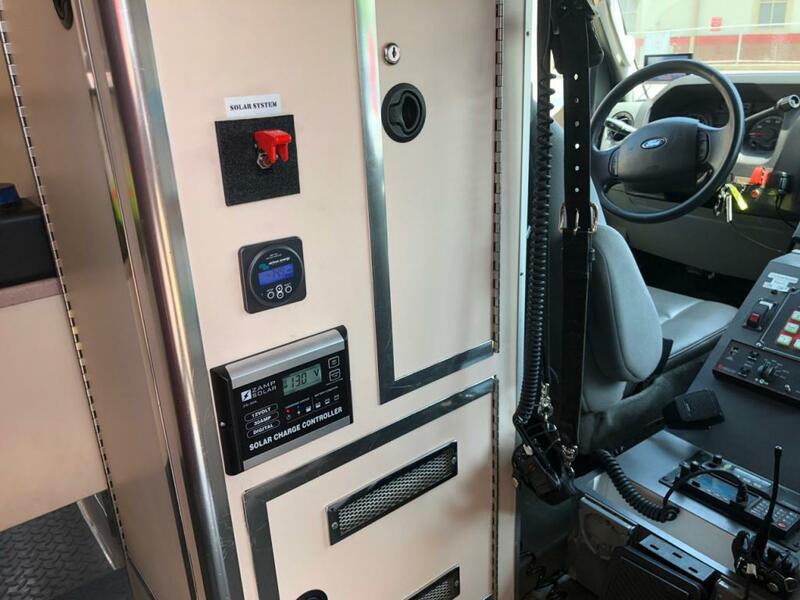 The journey started with Phase I in 2016: Ambulance 41-3 was sent to Buford, Georgia to have PowerStroke Specialties Bulletproof the 6.0L PowerStroke diesel engine. They specialize in 6.0L diesels and ambulances specifically. Their rebuilds and bulletproof solutions are last over 700,000 miles. Treating the ambulance like an airframe by rebuilding and retrofitting has proven to be the most economical model compared to re-mounting for 5x the cost or replacing for 9x the cost. Ambulance 41-2's engine was rebuilt in 2017. Ambulance 41-1 is the last of our three (3) 6.0L PowerStoke diesels to undergo the rebuild and bulletproofing this August. Today we are introducing Phase II, which includes solar panels and deep cycle lithium battery technology. The solar charging system reduces our overall greenhouse gas emissions, helping the environment while reducing operating costs. 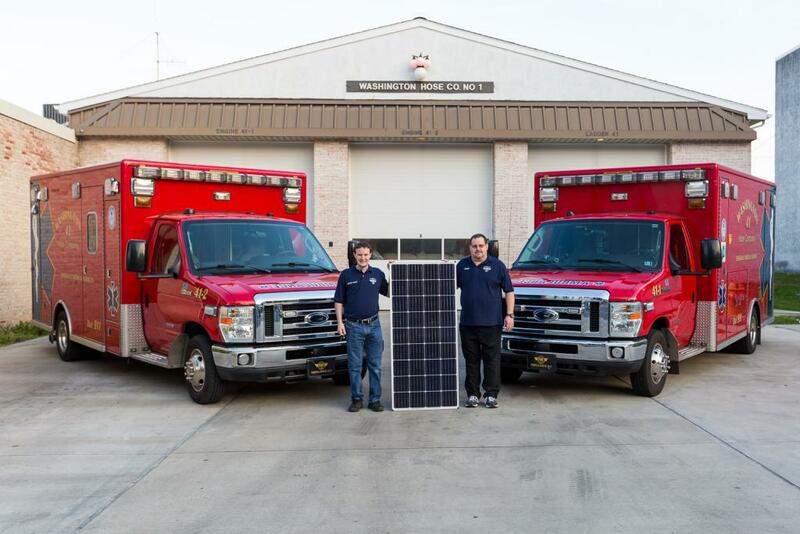 WHC is the first EMS agency in Chester County to add solar panels to ambulances with Ambulance 41-1 being the first to be retrofitted. Also, we believe this to be the first solar charged ambulance project and fleet in the state of Pennsylvania. 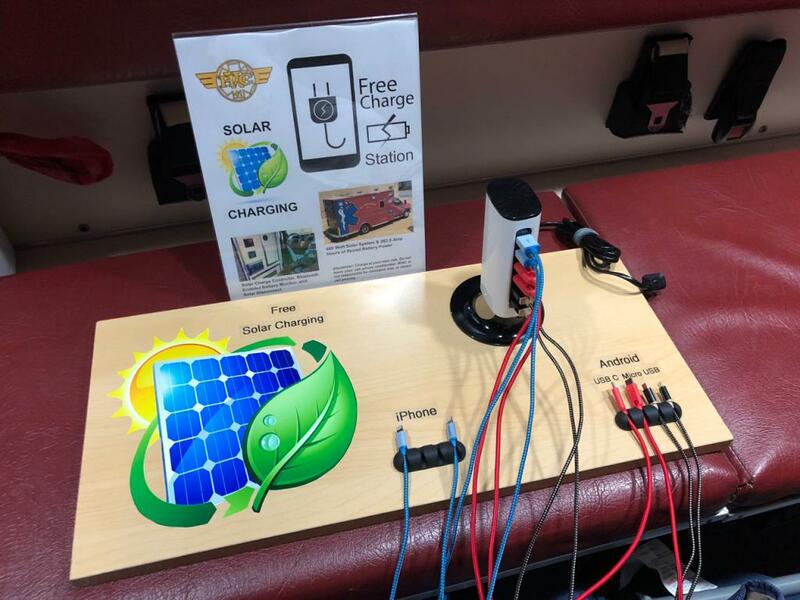 Solar charging increases mobility; solar charged ambulances do not need to be idled or plugged in to maintain the battery system, power communication equipment, or keep life saving equipment charged. The battery system is not at risk of discharging below 12 volts and being unable to start as the lithium iron batteries maintain 12 volts throughout the state of charge range and also due to increased battery capacity. ROI is estimated to be 1 year or less. The solar system includes 3x 160 watt solar panels (480 watts combined) made in Bend, Oregon, a 30 amp 5-stage digital charge controller, and a bluetooth enabled battery status monitor. Two (2) 100 amp hour 12 volt lithium iron phosphate (LiFePO4) deep cycle batteries complement the dual lead acid starter batteries for a total of 262.5 amp hours of stored battery power. 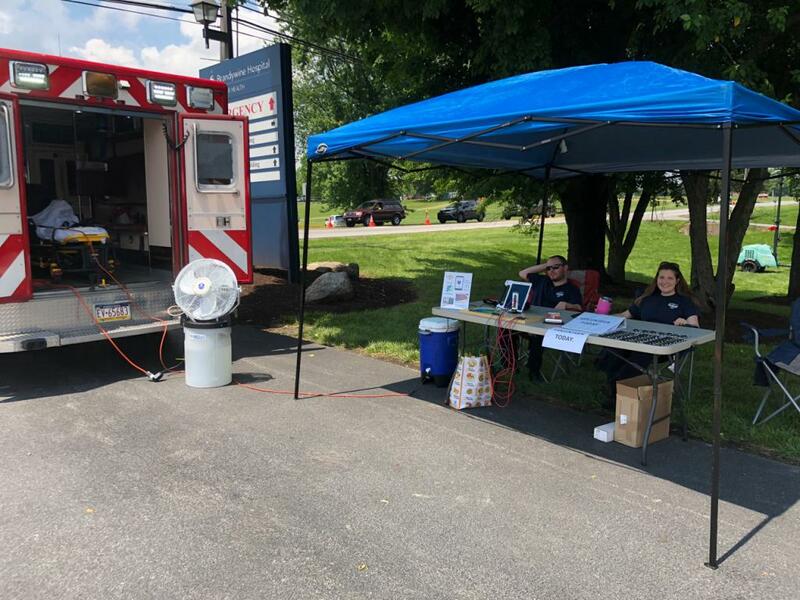 Ambulance 41-1 was on standby for 30 hours at the Strawberry Festival the first weekend in June, both day and night, and did not idle for 1 minute. 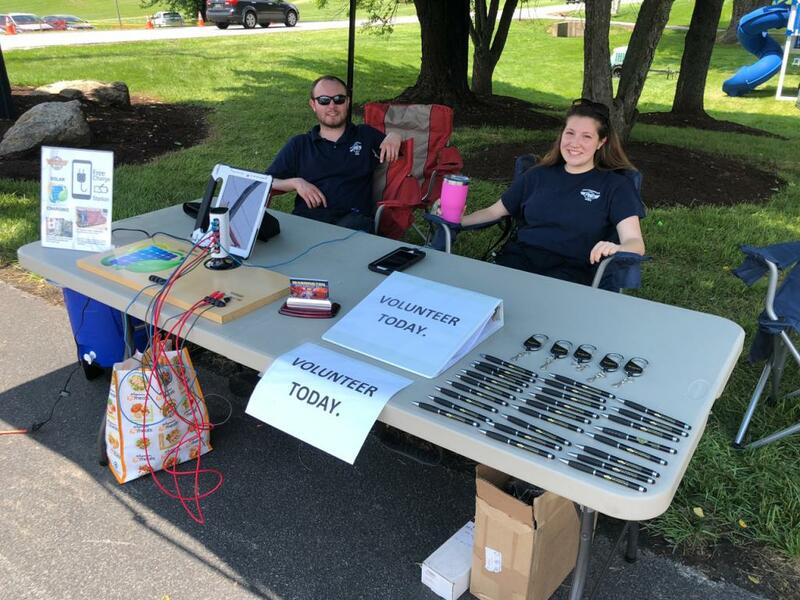 At night the battery system was only depleted by 50% by the end of each night while providing a courtesy mister fan and free phone charging station to attendees in addition to maintaining communication systems and keeping life saving equipment charged. Our ePCR iPad displayed the battery system status via the bluetooth enabled battery monitor companion app. Ambulance 41-2 is currently in the shop as our next vehicle in the fleet to have solar panels installed. Phase III & IV will implement idle reduction systems and rooftop solar powered AC units. 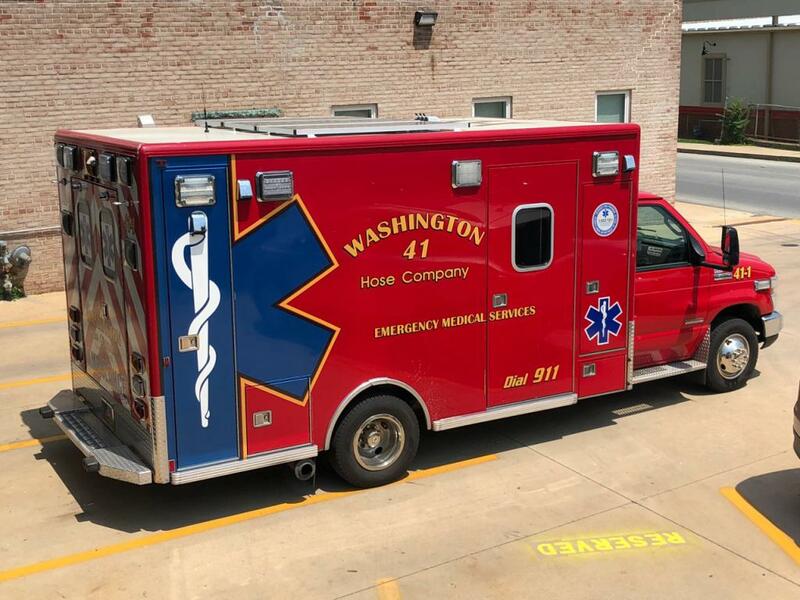 You will see this project lead the way as a model both across the state and nation as WHC EMS continues to innovate focusing on safe and efficient ambulances. Top to Bottom: Solar Disconnect Switch, Bluetooth Enabled Battery Monitor, and 30 Amp Digital 5-Stage Charge Controller.